Jose Mourinho’s new contract at Manchester United has ended any chance of Cristiano Ronaldo rejoining the Red Devils. Le10Sport reports that Ronaldo will not be keen on reuniting with his compatriot, who recently signed an extension at Old Trafford. Ronaldo is believed to be unsettled in Madrid and could be set for a summer departure if Real Madrid do not offer him a new deal. However, one of his possible destinations will not be United. 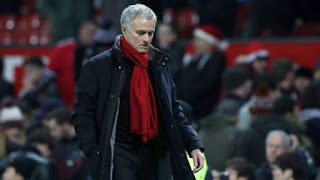 The Portugal captain does not want to work under Mourinho again, after both men fell out during Mourinho’s time at the Santiago Bernabeu. Mourinho himself has made it clear, that he is not targeting attackers this summer , following Alexis Sanchez’s arrival in the January transfer window.